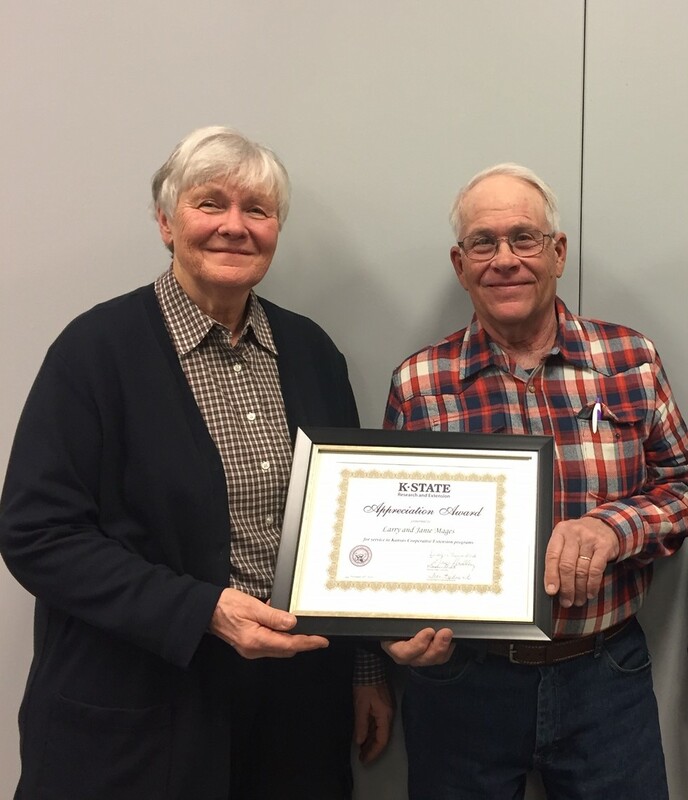 The Frontier Extension District recently presented annual appreciation awards to individuals who have made outstanding contributions to Extension programs in the district’s three counties. Honored were Wayne Wischropp, Osage County; Dr. Larry and Janie Mages, Franklin County; and Ron and Christy Ratliff, Anderson County. Wayne Wischropp is a life-long resident of Osage County. As a youth, he spent many hours with his father in livestock sale barns. His father was one of the owners of the Waverly sale barn for a number of years. During that time, Wayne watched, listened, and learned how to be an auctioneer. Also, as a youth, Wayne was in 4-H with cows being his primary project. Wayne started helping with the 4-H livestock sale at the Osage County Fair in Osage City during his early years in college. After college, he then became the auctioneer for the sale and has been doing it ever since. He auctioned the 4-H livestock sale at the Osage County Fair in Overbrook for about 10 years and the Lyon County fair for about 12 years. 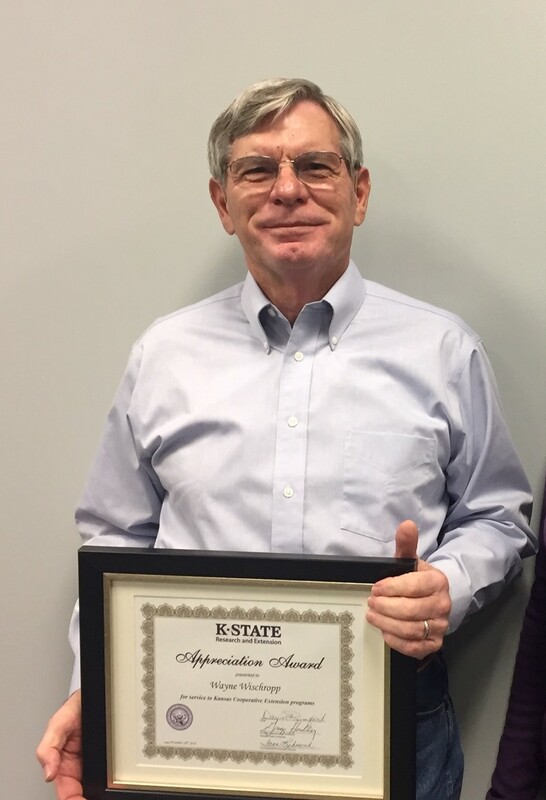 Besides his long term commitment auctioning for the 4-H sales, he managed the 4-H sale in Osage City for about 10 years, has served on the Osage City fair board and supported his daughter while she was in 4-H. Wayne has 50 plus years of continuous service to the area 4-H youth. Dr. Larry and Janie Mages Dr. Mages came to Ottawa to start his veterinary practice in 1973. He practiced out of his house and focused on large animals, especially dairy cattle. He still practices at Cottonwood Animal Hospital in Ottawa. The 4-H Youth Development Program has been a big part of Larry and Janie’s lives. They were both members of 4-H in their youth, and they raised three daughters, Jennifer, Laura, and Sarah, who were all active members of 4-H in Franklin County. Currently, the couple has five grandchildren enrolled in 4-H in Franklin and Miami Counties. The Mages’ have helped the 4-H livestock members in Franklin County for many years. Weigh-in for steers is held at the vet clinic and Dr. Mages has helped with health checks of livestock at the fair over the years. Recently they have donated panels for the bucket calves during the fair. The couple believes that the 4-H program is a great opportunity for youth. 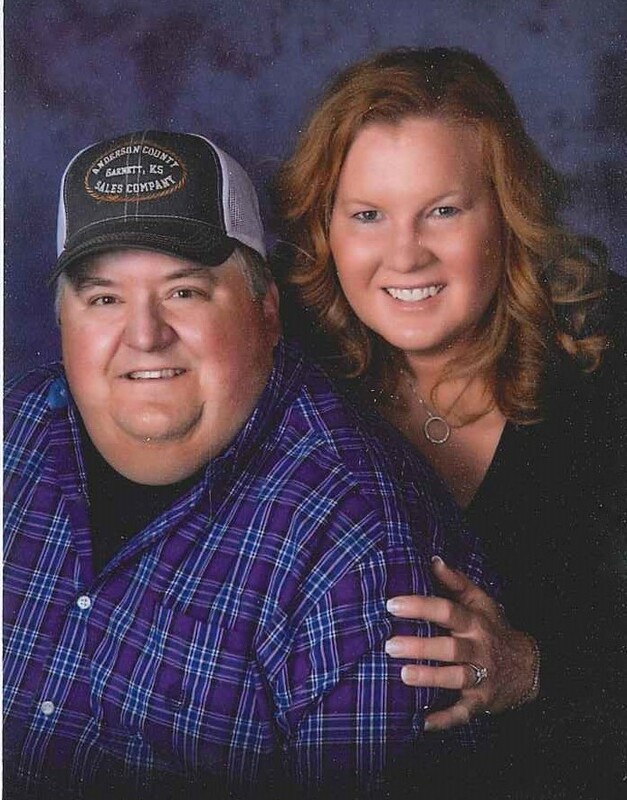 Ron and Christy Ratliff of Garnett are the owners and operators of Ratliff Jerseys and Anderson County Sales Company. Ron has spent his life in Anderson County. His father, Max, helped assist with construction and planning for facilities at the Anderson County Fairgrounds. Ron has been auctioneering at the Anderson County Fair Livestock Sale since graduating from auctioneering school in 1979. Christy started her Jersey herd as a 4-H project more than 30 years ago. The couple married in 1990, and have been very involved with the dairy and beef industry and the Anderson County community. Ron and Christy have supported K-State Research and Extension over the years by auctioneering Anderson County Livestock Sales, coordinating county fair livestock sale buyers, auctioneering Anderson County Fair pie auctions, offering the use of their sale barn facilities for 4-H beef spring weigh-in, and working with youth both locally and across the nation by hosting tours, providing quality animals for dairy judging opportunities and educating about the beef and dairy industry.